Thirty years ago, my husband and I were deciding where to go for our annual vacation. I was almost six months pregnant, so I was looking into places that would be within easy driving distance. 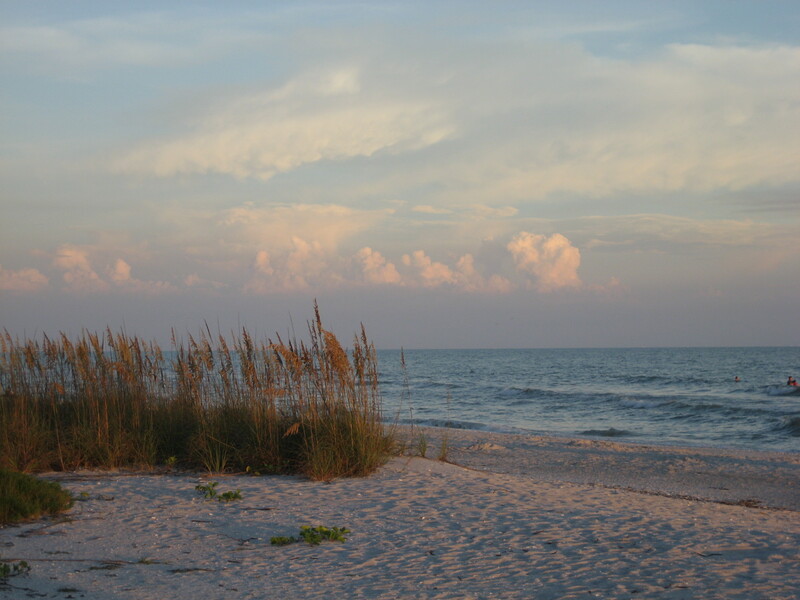 Then a friend mentioned that she had just returned from Sanibel Island in Florida, and said it was really very nice. She said there were great beaches, beautiful bike paths and lots of unspoiled scenery. That sounded great, but I wasn’t sold. We’d have to fly, and I didn’t know how much that would cost or if my doctor would even allow it. I had no idea where to stay on the island, didn’t own a maternity swimsuit, and weren’t there a lot of alligators in Florida? I thought Lexington, Kentucky sounded like a safer bet. But it did seem sort of silly to choose Kentucky over a beautiful barrier island, and after careful thought and with my doctor’s permission, we booked a condo on Sanibel Island and hoped for the best. Our flight got in late, and we drove for a long time on a dark, unmarked highway, fairly sure we were lost as we tried to find the causeway to the island. We finally made it and located our condo, only to discover that they had put us in a two bedroom condo which was way more than we had budgeted for, but there was no manager on duty at that hour to switch us. By that point, we were frustrated, exhausted, and quite sure we had made a terrible mistake by coming. All we could do was go to bed and hope things would get better in the morning. Luckily, they did. The morning light revealed that my friend had not exaggerated when she told us how beautiful the island was, and a friendly manager moved us to a nice one bedroom unit with a view of the ocean. We had a great time, even if I did have to walk the beach wearing a swimsuit that looked like a tent. Sanibel is now our favorite vacation spot, and we have been back there too many times to count. But we never would have discovered it if we hadn’t taken a chance and stepped out of our comfort zone all those years ago. I need to remember that now, as I tend to want to stick with the comfortable and familiar with my middle-aged self. But the truth is that almost every good thing in my life is a direct result of going out of my comfort zone and taking a chance on something new. And almost all my regrets come from the times I wimped out and stuck with the comfortable and easy choice. As I’m returning from another great week at Sanibel, I’m so glad I chose to come here instead of Kentucky thirty years ago. And twenty years from now, I want to be just as glad about the choices I’m making now. I think that friend might have been me…wish we were in Sanibel now (as my parents are). Haven’t been there in awhile, as our sons love big wave surfing beaches and my main job is to keep everyone alive! I have quote on my fridge that says “Life begins at the end of your comfort zone”. Too true! I know you love Sanibel just as much as I do! You told me how nice it was, and you were quite right. I hope your parents are having a great time down there…I’m just sorry to be back!